Two great idie developers keep us in the loop. XBLA summer title, Charlie Murder, has yet to receive an solid update since launch on August 14th. Based on all the superb feedback they’ve been getting from the fans, Ska Studios has taken it and will be using it to solidly update their co-op game. > Netcode: This is probably the biggest pain in our sides. Networking in the real world is incredibly hard to duplicate in the test environment. We tested playing over the internet a ton before launch with different throttling test techniques and still were unable to predict what would happen in the real world. There’s a reason many games cut out online play before the end of their development cycle. We’re going to work this one out as best we can but it will also be the most challenging bug to fix. > Private matches: Currently, private matches aren’t working as intended. They’re acting just like open matches that anyone can join. Obviously, we’re going to fix this. > “I’m Thorough”: You can obtain 54/55 relics in the current, live Charlie Murder but there is one final relic, the Jeweled Cross, that never drops. When we fix this, we’ll likely just drop the relic requirement to 54 so anyone who signs in after downloading the title update will get the Achievement. > Top Leaderboard numbers are not displaying properly: You’re all too good at the game! The numbers have gotten so huge that they no longer appear on the top of the Leaderboards. > “You are not signed into LIVE” message displays: This is a pesky bug unique to XNA-made games. To our knowledge, there’s nothing we can do to stop it.There is a work around however: simply sign out and back into your profile within the game and the problem should sort itself out for that play session. > Alt bands’ top of head sometimes shows as original band members’ top of head: This is an annoying little bug we thought we squashed in development but it looks like it’s sometimes still happening. > Tommy and Rex can use grab to fly across the screen: Yup and it’s freakin’ hilarious. We’re calling it a feature and leaving it in. They’re going to be working on the getting the update live as soon as they can, but they want everyone to know to be patient (working with XBLA and PS3 locking out players tends to slows things down a bit). 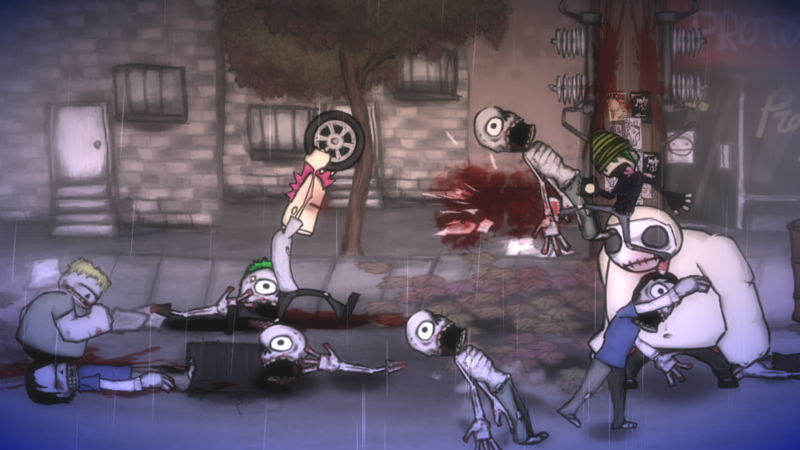 Charlie Murder is a 4-player local/online co-op game, available now on Xbox 360.